Home » News » Harrisburg convinced lawmakers to let it leave Act 47. What’s next? It’s been one week since the state lawmakers passed a bill that will let Harrisburg exit Act 47, but a lot has to happen before the city can shed its status as a distressed city. The Municipal Financial Recovery Act, which will allow Harrisburg to keep its augmented taxing power for five years after it exits state oversight, was signed into law by Gov. Tom Wolf this afternoon, one week after state Senators approved it on a 48-1 margin. Wolf’s signature will trigger a series of actions designed to lead Harrisburg to financial stability, starting with the formation of a five-member appointed body that will oversee the city’s finances. The Intergovernmental Cooperation Authority (ICA) will stand until Harrisburg’s taxing authority expires in December 2023. The duties of the ICA are spelled out in the legislation Wolf signed today: its members will approve a five-year financial plan for the city and review its annual budgets and quarterly financial reports through 2023. But who will serve on the board is still a mystery. Harrisburg solicitor Neil Grover said on Tuesday night that the appointees must live or own a business in the city and must have financial management experience. 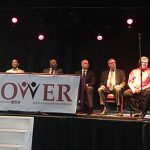 The authority members cannot work for state government, which significantly limits the number of eligible residents, Grover said. Grover said that appointees will likely be experienced lawyers, accountants or retired government officials. A review of the five-member ICA board in Philadelphia, which was created in 1991, suggests he’s right. Its members include a former mayoral aide, an attorney, a professor of public health and an investment broker. The power to appoint the board lies with five members of state government. The governor, president pro tempore of the Senate, minority leader of the Senate, speaker of the House and minority leader of the House will each appoint one member of the authority. They have 30 days to choose appointees after Wolf signs the Recovery Act into law. The state secretary of the budget and Harrisburg’s finance director will also sit on the board as non-voting members. The appointees will serve five-year terms, but can be replaced if there’s electoral turnover among the appointing authorities, Grover said. They will also control a $100,000 budget, which they will use to hire an executive director. Once hired, the executive director has 60 days to draft a formal agreement between the ICA and the city. Mayor Eric Papenfuse said that he doesn’t yet know exactly what that agreement will say. At the very least, it will give the authority members broad access to Harrisburg’s financial data. 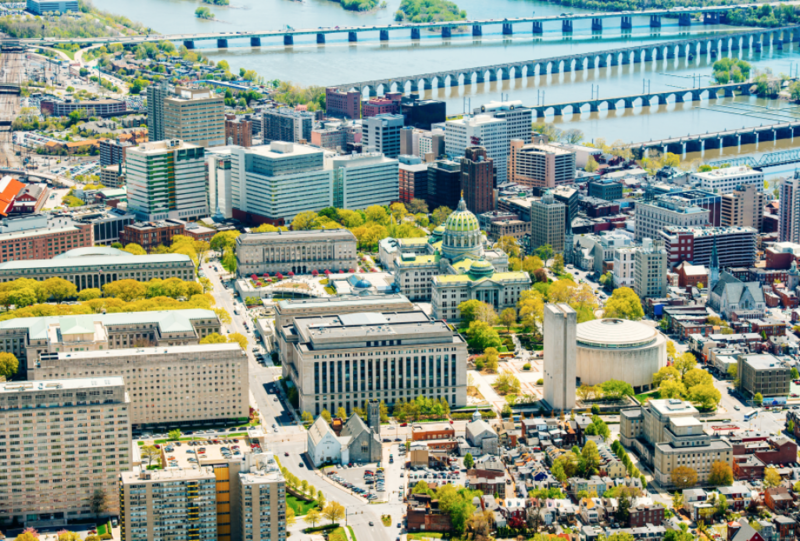 Philadelphia and Pittsburgh have both entered ICA agreements, which gave their boards some of the same duties as Harrisburg’s proposed authority – including the approval of budgets and of quarterly financial reports. But they also had some broader powers. The agreement that Philadelphia entered, for example, allowed its board to issue bonds for capital improvement projects. The scope of Harrisburg’s agreement will be more limited, Grover said, given the city’s smaller population. Once the ICA board and the city sign an agreement, Harrisburg can petition the state Department of Community and Economic Development to release it from Act 47. That day likely won’t come until the spring, Grover said. 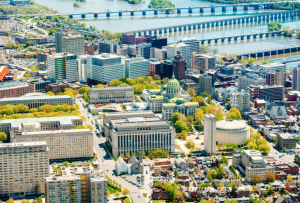 Even if DCED allows Harrisburg to exit Act 47, the terms of the ICA agreement mean Harrisburg will effectively trade one form of oversight for another. The city will still submit yearly budgets and quarterly financial reports to the ICA board, as it did to its DCED coordinator. And, just as Harrisburg entered a five-year recovery plan under Act 47, it must now hatch a new one dictating its long-term budget priorities through 2023. Papenfuse is optimistic about the new system and says the ICA’s imprint won’t be any greater than the state’s was under Act 47. “There’s a lot to work on, but I’m very positive,” Papenfuse said. Next Post Heartbreak, in Art: "Familias Separadas" installation arrives in Harrisburg.